Reports indicate that the global logistics solutions group, WiseTech Global, has recently acquired Systema AS, a Norway based customs solutions provider. The cost of this acquisition has allegedly been summed up to US$3 million, with a potential earn-out of US$2.7 million from business, product integration, and revenue performance. Apparently, the acquisition will not affect the leadership of Systema, as the company will continue to offer its logistics management solution to its customers. This includes CargoWise One, an acquisition of WiseTech which assists over 130 countries to process transaction in areas such as customs clearance, freight forwarding, shipping, warehousing, land transport, tracking, and e-commerce, in order to handle these multifold operations in a single database accessible to multiple users across various countries. The speculative motive behind the acquisition seems to be making advancements pertaining to the dominance of WiseTech in maintaining border compliance and handling customs clearance, that would further boost the growth of global trade. Further from the reports, WiseTech Global took over a Sweden based predominant customs management solutions provider CargoIT, prior to the acquisition of Systema, along with the acquisitions made in European firms that operate in Spain, Turkey, Ireland, France, Belgium, Germany and the Netherlands. Sources familiar with the matter cited that after collaborating with WiseTech Global, Systema would look to utilize the development capacity of WiseTech as well as lend logistics solutions, that have high-productivity, to the customers. For a quite a long time now, WiseTech Global Systema has purportedly been involved in the acquisition of logistics solutions in the regions of Uruguay, Taiwan, Turkey, Spain, Sweden, North America, Italy, the Netherlands, Ireland, France, Germany, Canada, Belgium, Brazil, Argentina, Australasia, and the U.K. The company evidently aims to advance its futuristic growth with meaningful acquisitions. For the record, WiseTech Global has been the flag bearer for rolling out novel solutions in the area of logistics over the last five years. 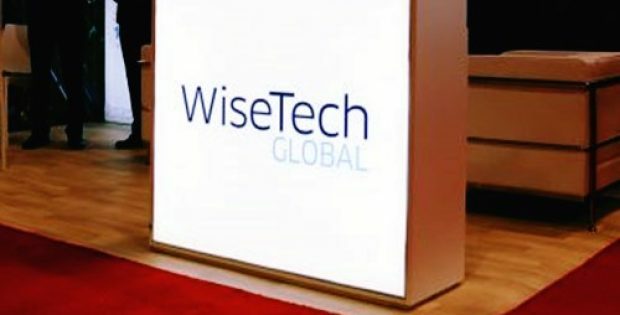 The software offered by WiseTech Global is recognized for an impressive global reach, enhanced productivity, extensive compliance capabilities, and extensive functionality. What main factors contributing towards Europe Inland Waterways Vessel Market growth?